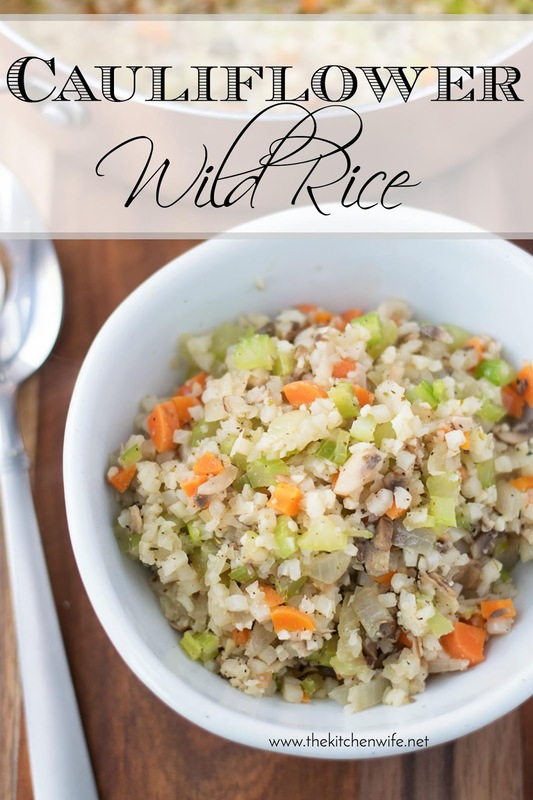 The other day I was making my Pork Chops with Creamy Mushroom and Garlic Sauce, and my favorite side to serve with pork is wild rice. You know the one I'm talking about, the old school Uncle Ben's Long Grain Wild Rice kind. Oh man I love that stuff, but like everyone else I am trying to lighten things up and cut those cards, so I decided to try and find a cauliflower rice version. To my surprise I couldn't find anything on Pinterest so I though "Mandee, you're a food blogger, YOU DO IT!" For this amazing low card Cauliflower Wild Rice Recipe you will need a few simple ingredients. To begin you will place a deep pan over a medium/high heat. Add the butter and oil to the pan and allow it to get HOT. While the pan is heating up finish prepping your vegetables. This is a great way to get a TON of veggies into those kiddos without them even knowing. Once the pan is hot add the carrots, celery, onion, and mushrooms. Sauté for about 5 minutes until the veggies are soft and translucent and the mushrooms are golden brown. Next, add the garlic to the pan and cook just long enough to smell it coming up from the pan. Now you will add the frozen cauliflower flower rice to the pan. Yes you can use fresh, homemade cauliflower rice here. It doesn't really change the cook time too much, but for me the convenience of the pre-made rice is worth the small extra cost. Season the Cauliflower Wild Rice with the salt, pepper, onion powder, garlic powder, and Italian seasoning. Give everything a stir so that all the vegetables are coated. Now add the vegetable stock. Simmer for 5-10 minutes until the cauliflower is fully cooked, tender, and the stock has reduced by half in the pan. A delicious low carb recipe for Cauliflower Wild Rice so herbaceous and full of flavor that I dare say you won't miss the real thing. Place a deep pan over medium/high heat and add the butter and oil. Allow the pan to get hot. Add the carrots, onion, celery, and mushrooms to the pan. Sauté for about 5 minutes to allow the veggies to get tender and the mushrooms to get golden brown. Add the garlic and cook just long enough to smell it coming from the pan. Add the salt, pepper, onion powder, garlic powder, and Italian seasoning to the pan and stir until all the vegetables are coated. 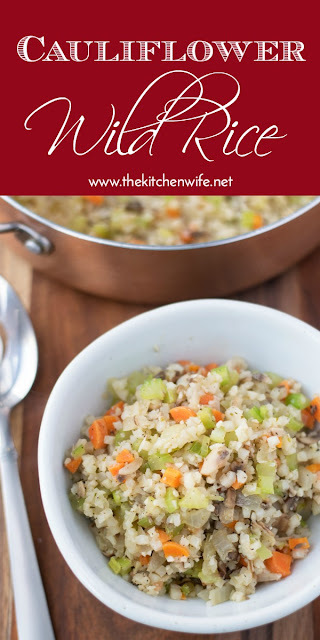 Add the broth and let simmer for 5-10 minutes until the cauliflower rice is nice and tender and the broth has reduced by half.